Uncrowded Waves + Spanish Classes! 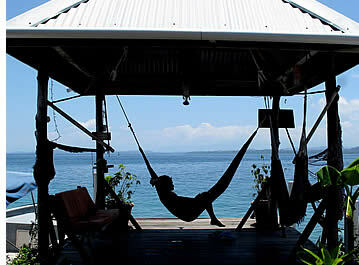 Surf Breaks in Bocas del Toro: a tropical surfing experience! Where to surf, how to get there, how much it'll cost you. Lots of lefts, some rights, beach breaks, reef breaks and a couple of point breaks. Surfing Season: from November to April and from June to August, learn more about Bocas del Toro's surfing conditions. 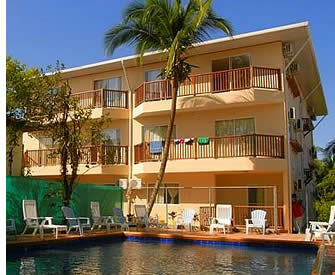 Rates: cost for classes, surfing, lodging and extras. How good is the surf in Bocas del Toro? Ask Kelly Slater, Mick Fanning, Greg Long, Julian Wilson, Ian Walsh, Jamie O'Brien, Ben Bourgeois, Dylan Graves, Matt Archbold, CJ Hobgood and Brett Simpson just to name a few... Bocas del Toro has surf breaks for all skills and levels, which are easily accessible from town, just a short bike or boat ride away. If you'd like to learn how to surf while studying Spanish we also offer surfing lessons. Our Learn Spanish and Surf Program is only offered at our Spanish School in Bocas del Toro, Panama. If you're studying Spanish at our other Spanish School in Boquete's mountains, the surf in Panama's Pacific is about a 1 hour drive away from Boquete (La Barqueta is the closest break and the Chiriqui Gulf has some some amazing breaks as well in the Morro Negrito area), so you can easily surf during the weekends. Or if you're studying at our Spanish School in Panama City, the bay of Panama, about an hours drive from the city, also has loads of surf breaks. 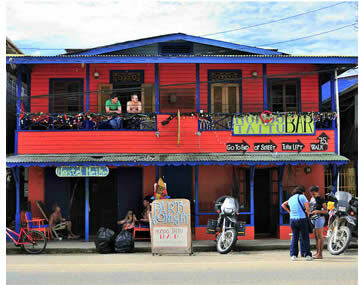 Bocas del Toro, with a chilled surf camp vibe, is Panama's most authentic beach town. 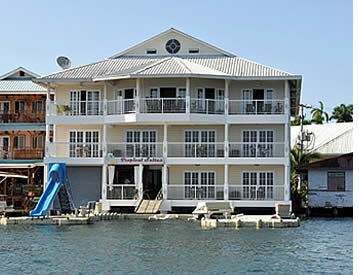 Bocas Town is the perfect place to learn Spanish by the beach while surfing and is home to Habla Ya Spanish School. Spanish lessons at Habla Ya Bocas del Toro take place either in the mornings or in the afternoon, leaving you free the other half of the day to surf. Group lessons in Bocas del Toro are usually scheduled in the morning starting at 8:00 a.m. and ending at 12:00 p.m. so you can surf all afternoon long. Private lessons normally take place in the afternoons starting at 1:00 p.m. and ending at 5:00 p.m., leaving you the mornings available to surf. 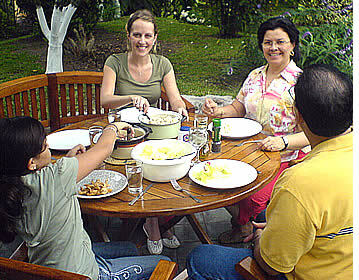 There aren't any Spanish classes during the weekend, so you can have several sessions all day long. Surf in Panama's Caribbean isn't that tide dependent as in the Pacific (the difference between high and low tide is never more than 2 feet) so the only factor to really consider besides the swell is the wind (unlike Panama's Pacific, there are normally nice windows in both the mornings and afternoons). * Prices are in US Dollars. The above prices do not include Panama's 7% ITBMS Sales Tax. Class includes theory part, surf board, rash guard, wax, transport to surf break, class in the water, and transport back to the school. A boat from Isla Colón, the main island, to La Escuela del Mar Surf School in Carenero costs $2 per person. Theory part of class with Mono Loco starts at the garden of Mono Loco HQ in town so no additional cost has to be added. Daily classes start at 8 a.m. and 1 p.m. (or 9 a.m. and 2 p.m. depending on waves). Meeting point for Escuela del Mar is Bibi's Restaurant in Carenero Island, right next to La Escuela del Mar Surf School (where a boat can drop you off on a dock). Meeting point for Mono Loco Surf School is at the center of town on 2nd Street, right at Mono Loco. Bocas del Toro, Panama's top beach destination in the Caribbean, has surf breaks for all skills and levels, which are easily accessible from town, just a short bike or boat ride away. If you want to learn how to surf or if you're just starting out, surf lessons are also available. One of the great things about Bocas del Toro is that there are plenty of uncrowded surf breaks and if you come along a busier one you can just move on to the next one (or wake up earlier!). 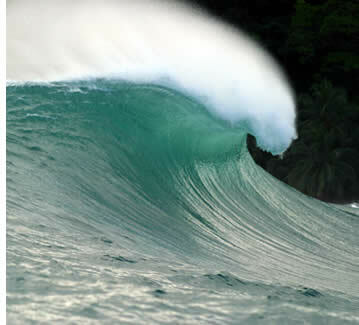 Besides, Panama is one of Central America's less touristy countries, which means more waves for everyone. Julian Wilson, Ian Walsh and Jamie O'Brien also paid us a visit. Check out their video! All of our host families are within a 15 minute walk to our Spanish school, and a 15 minute drive to the surf (or 5 to 10 minute boat ride plus a couple of minutes to the docks depending on which host family it is). If you're on a budget and would like to easily be able to socialize with fellow travelers after having Spanish lessons and surfing all day long, then a budget hostel is for you. 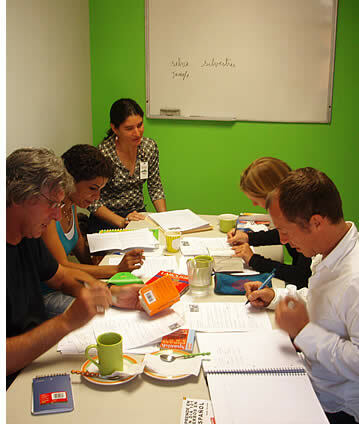 There are four variables to consider when determining the total cost of your Learn Spanish & Surfing Program in Panama. Costs are given itemized as there are different Spanish courses to choose from, multiple lodging options, and some students might decide to join an additional eco-adventure tours. If you would like to request a quote for a specific amount of weeks (or several different options) please click here. The easiest surf breaks to access by boat from Bocas Town cost $3 USD per person ($5 USD back and forth). If you rent a bike ($7 per day, $35 USD per week) you can cycle to surf everday and be there in 30 minutes. Other surf breaks can be accessed from town for a $5 taxi ride ($10 back and forth). We got daily surf lessons for you! Contact us!